Stanislaw Tym, Jolanta Lothe, Wanda Stanislawska-Lothe et al. Polish cinema's first 'cult film', Marek Piwowski's 'The Cruise' is a satirical masterpiece. 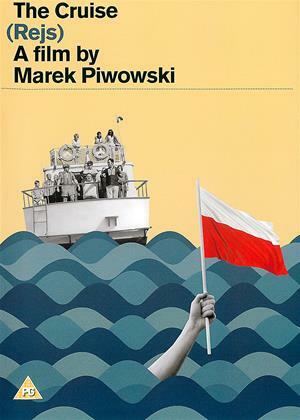 Shot in quasi-documentary style with a cast of mostly nonprofessional actors, the absurd plot parodies life in the People's Republic of Poland of the 1970s, transforming a seemingly harmless river cruise into an hilarious caricature of the ruling Communist system. Piwowski's astute observation of the games played in ordinary life, his shrewd sense of humour and the film's exposure of a national pathology made 'The Cruise' one of the most popular Polish films of the 1970s. Today, it remains a compelling testament to the art of ridicule, demonstrating the power of laughter to undermine tyrannical authority everywhere.